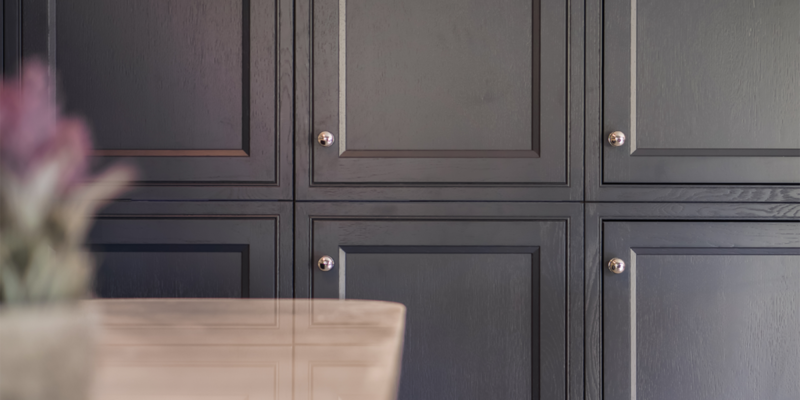 The Austin Collection presents our exquisite inframe solid woodgrain door. 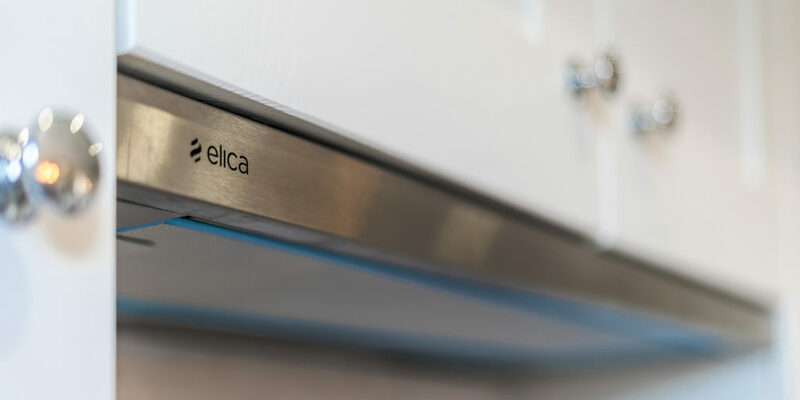 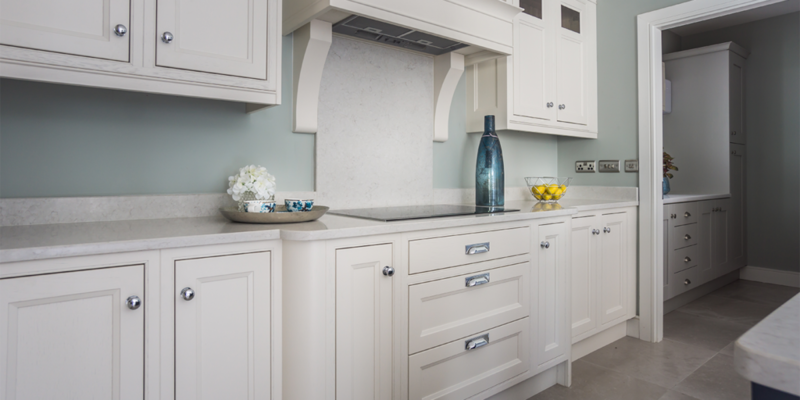 This door is exclusive to Gallagher Kitchens. 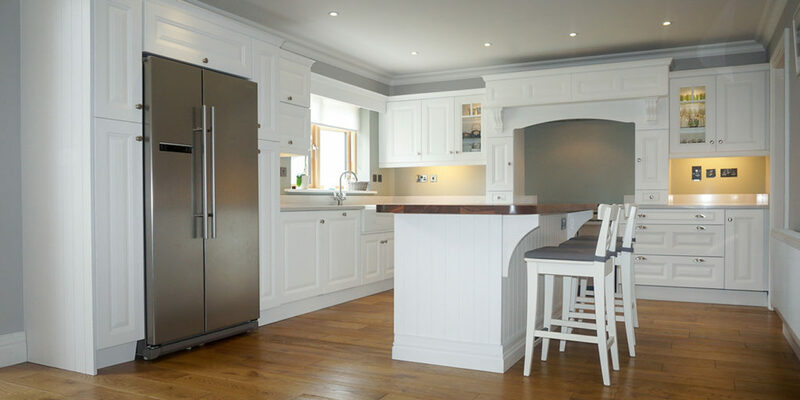 The choice of painted finish in various colour combinations allows for the creation of a unique kitchen. 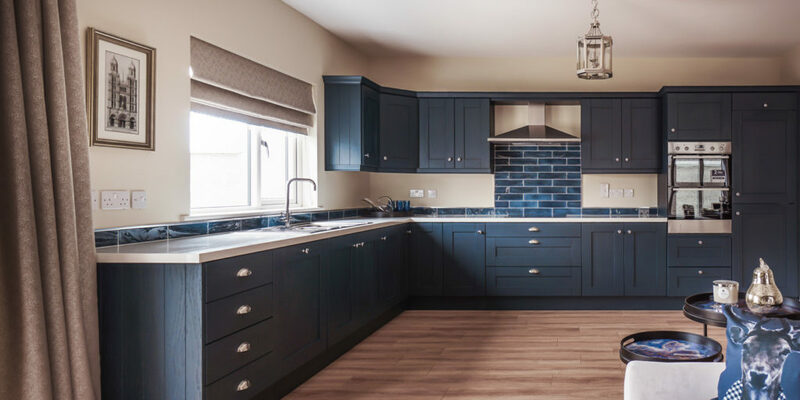 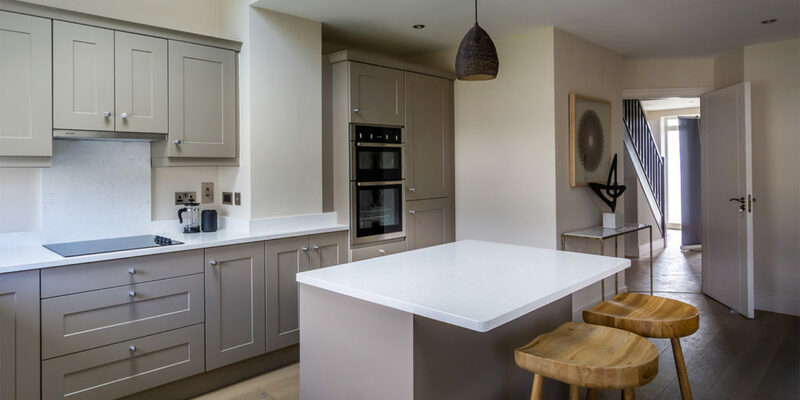 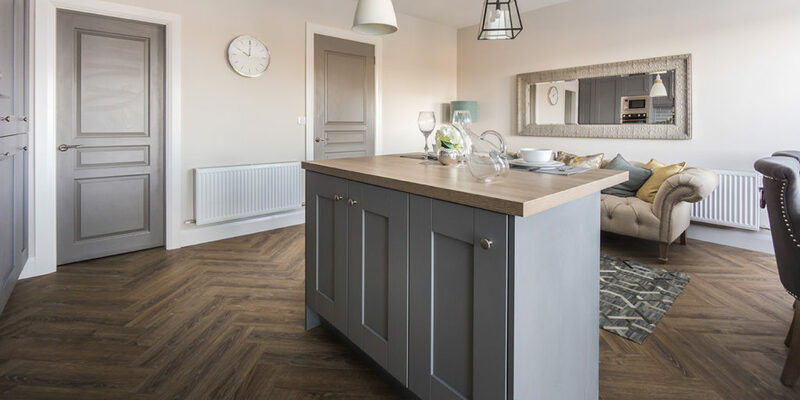 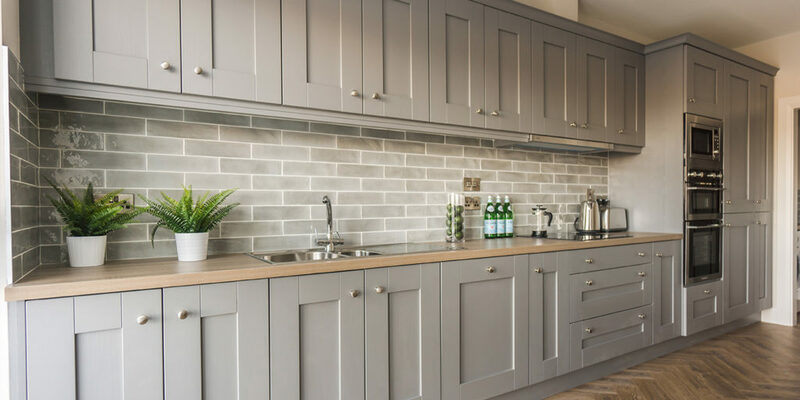 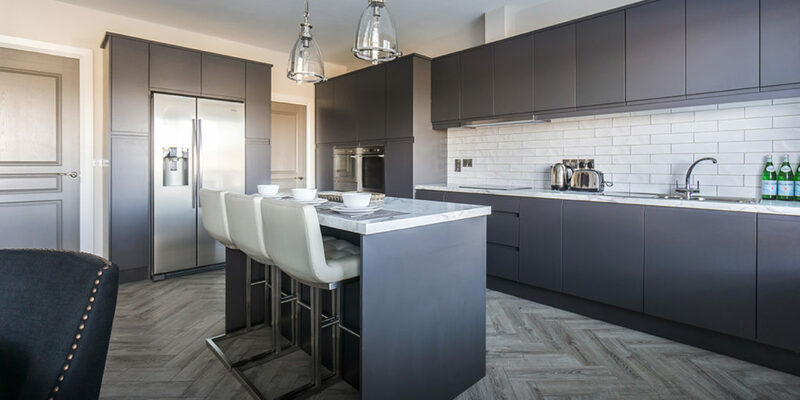 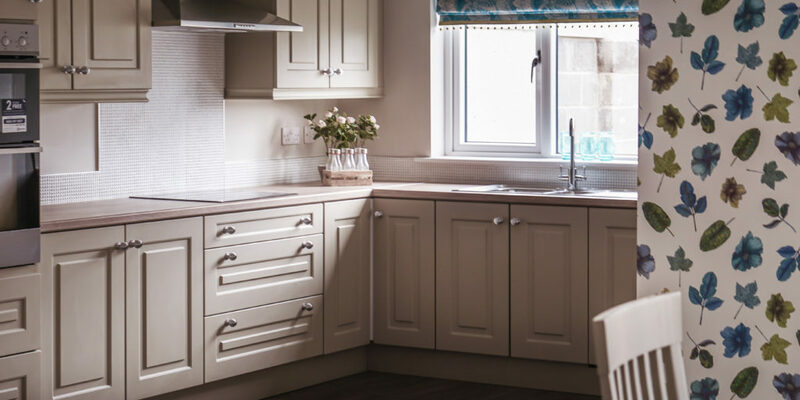 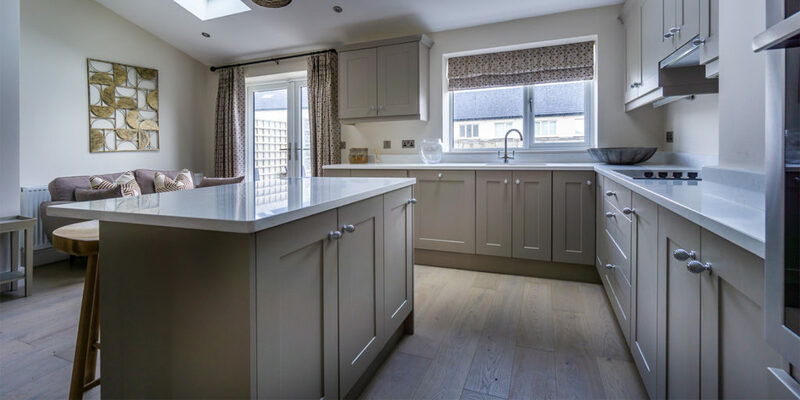 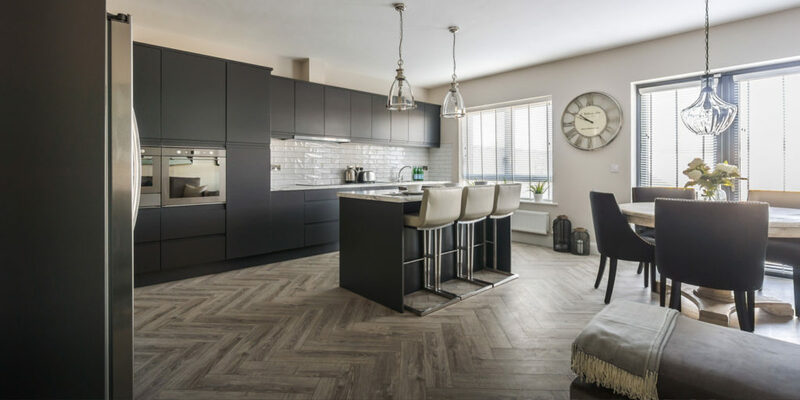 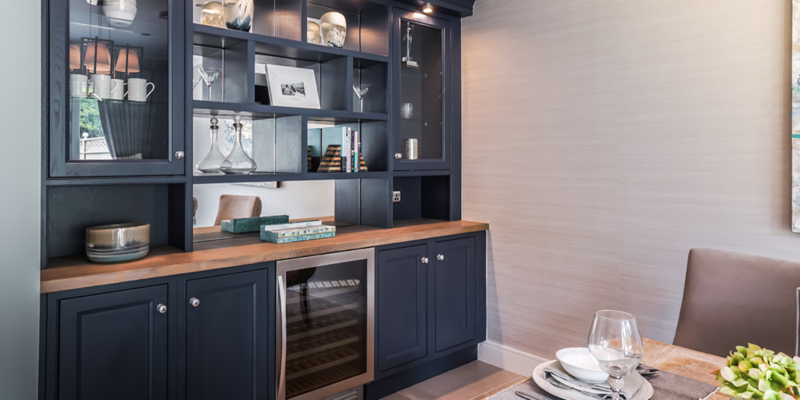 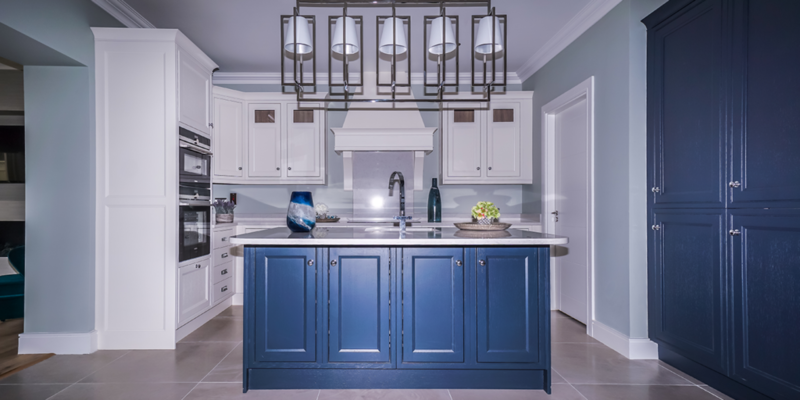 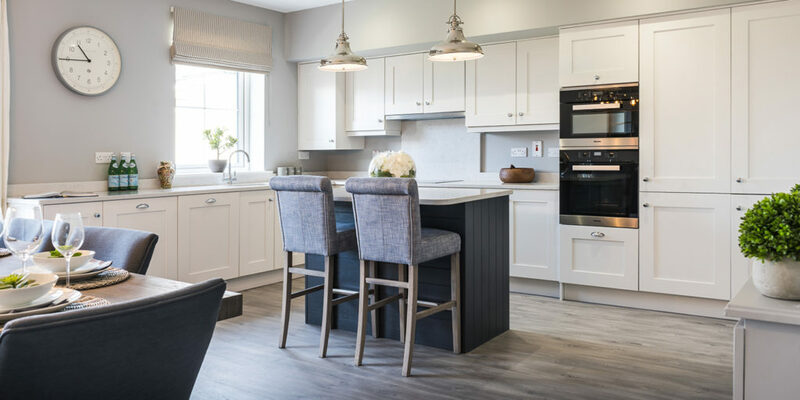 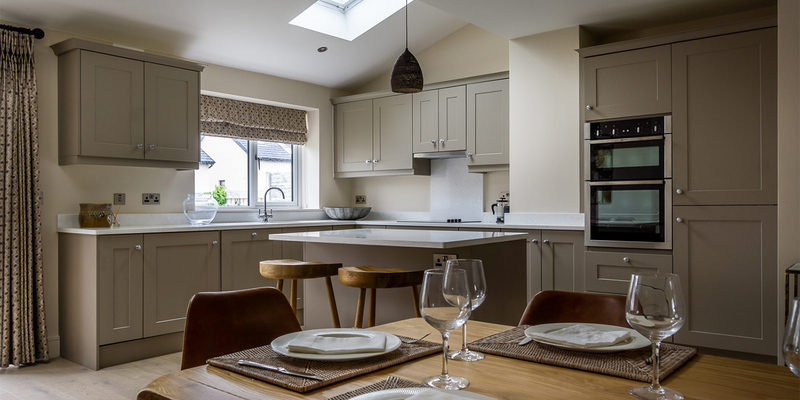 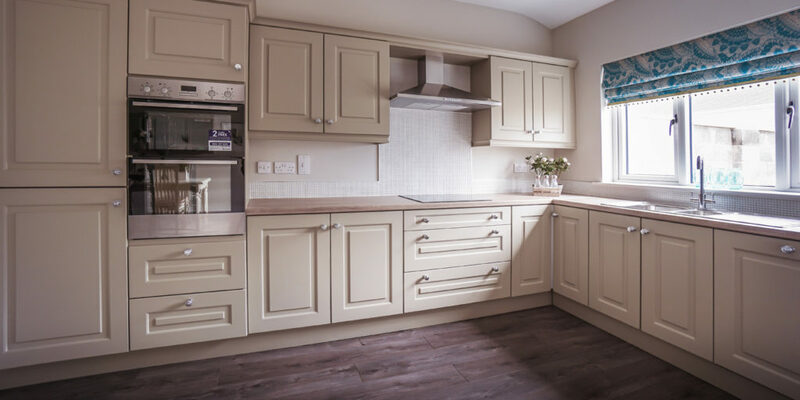 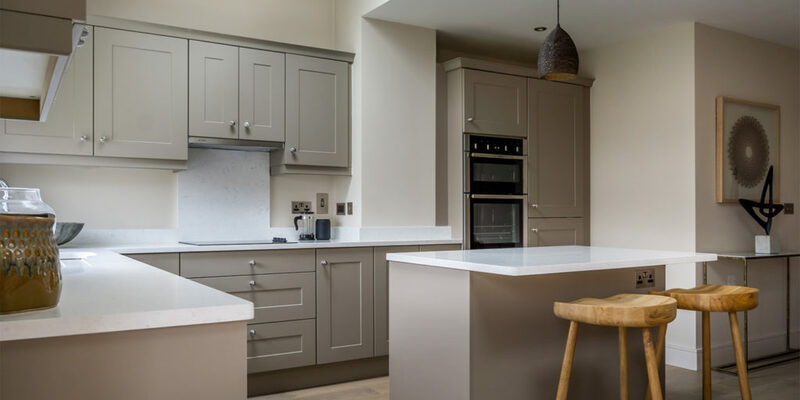 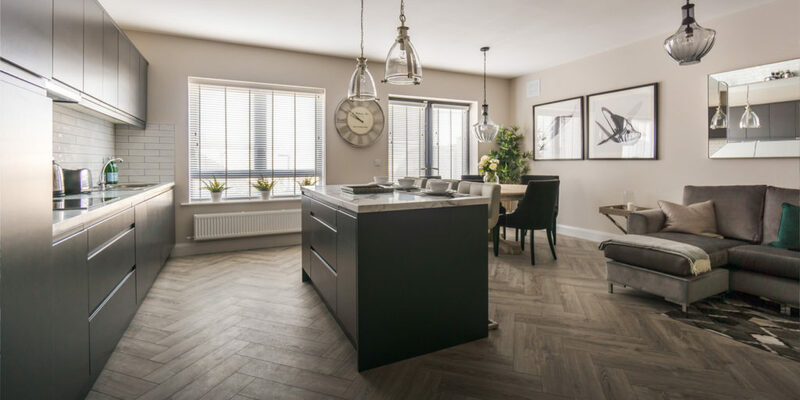 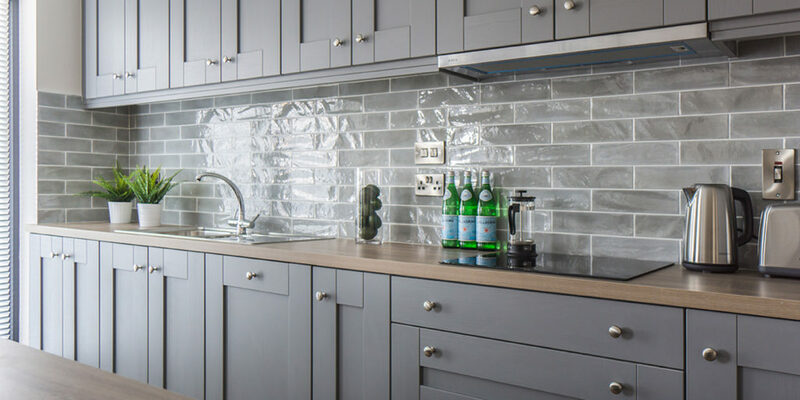 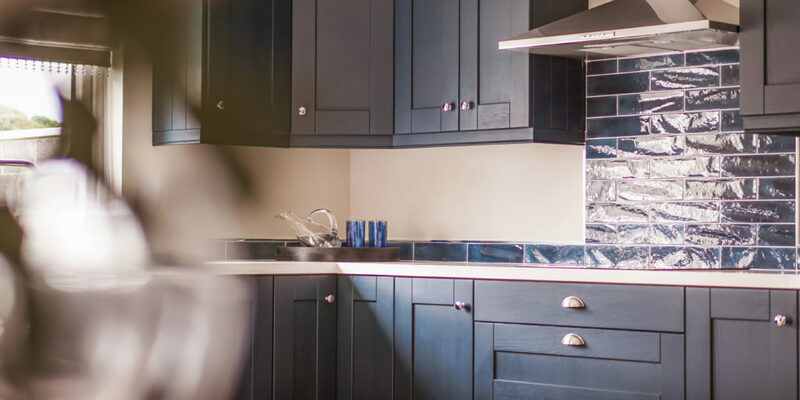 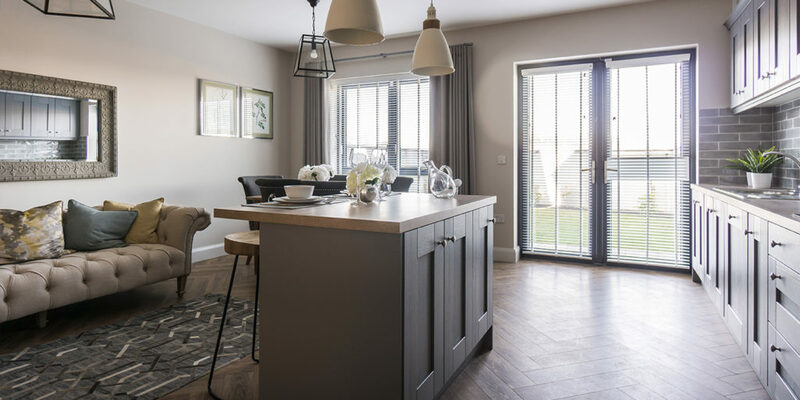 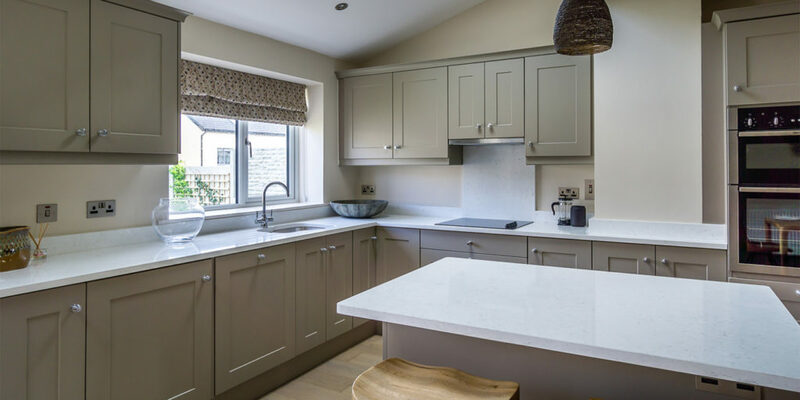 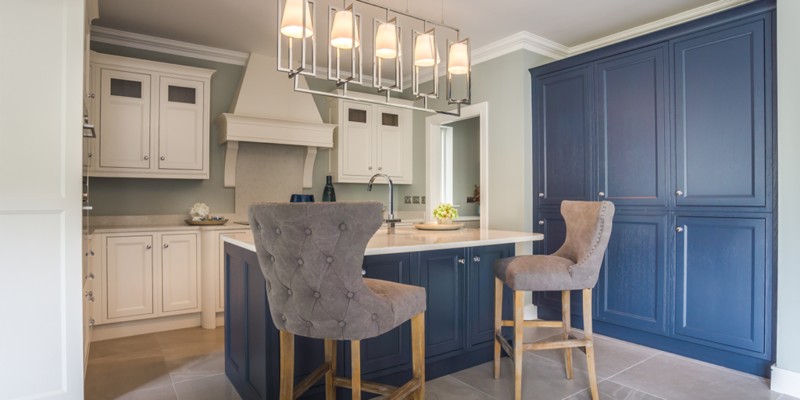 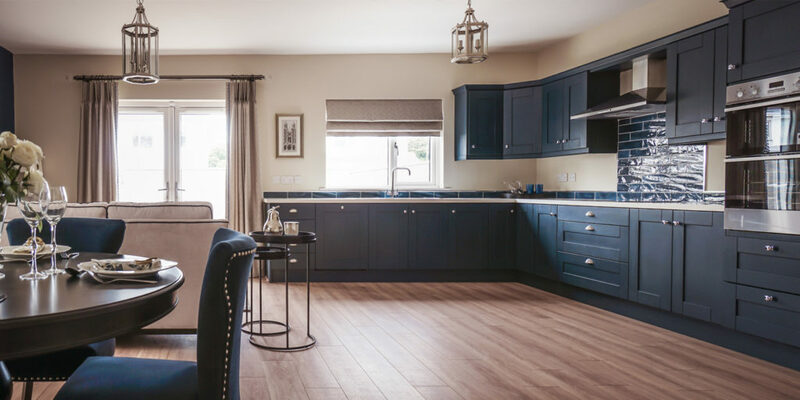 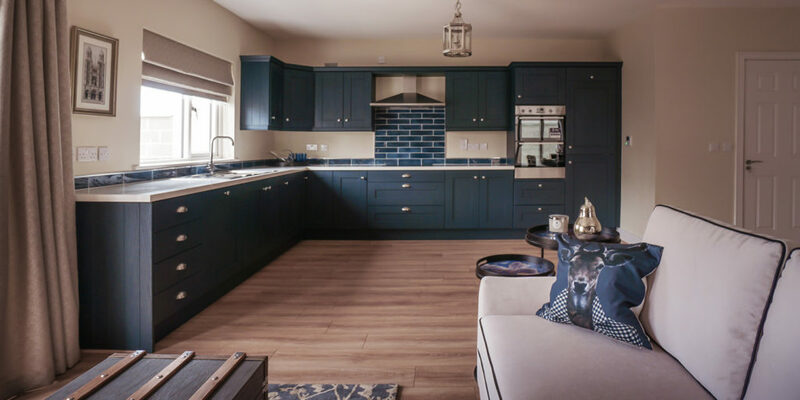 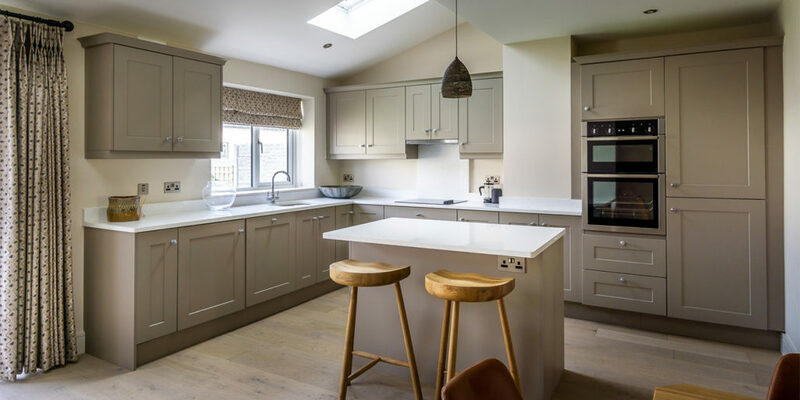 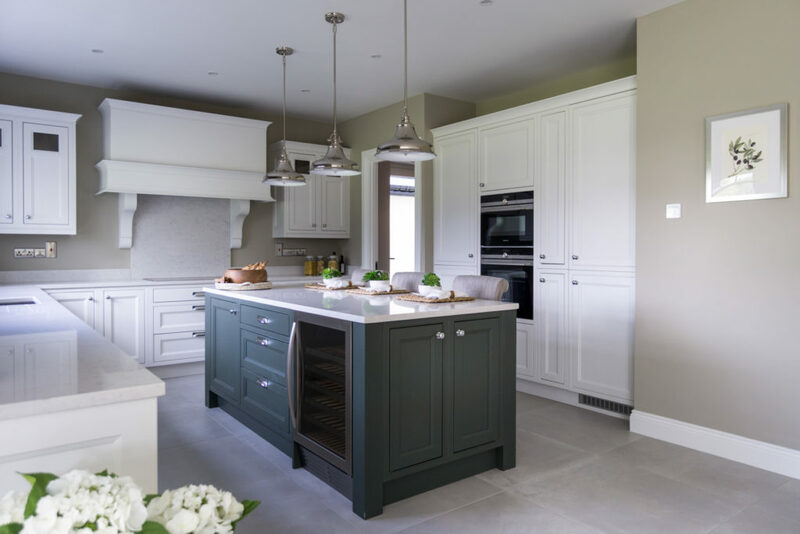 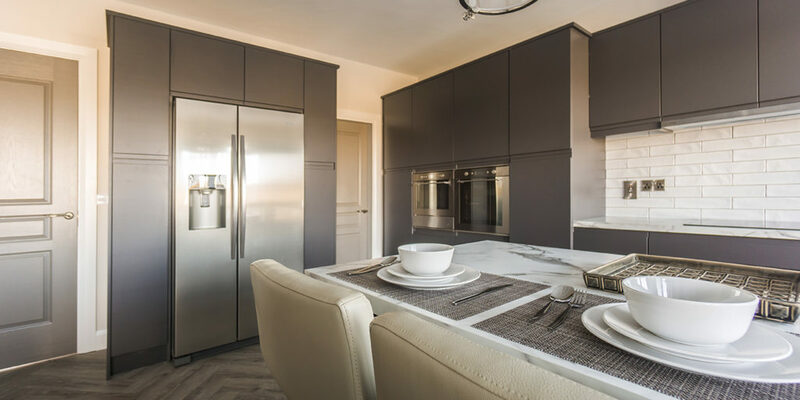 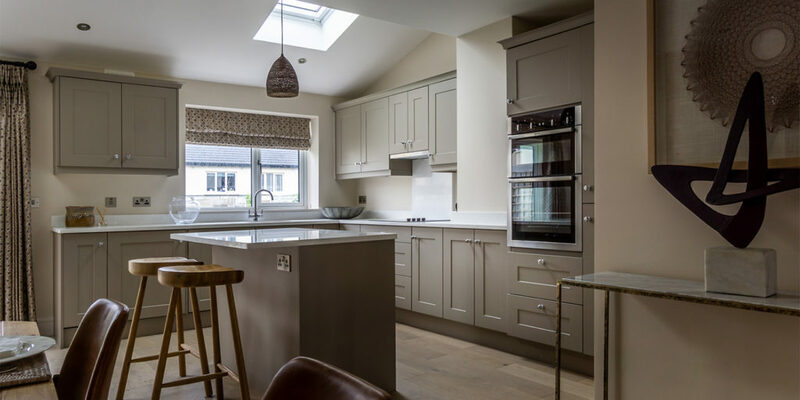 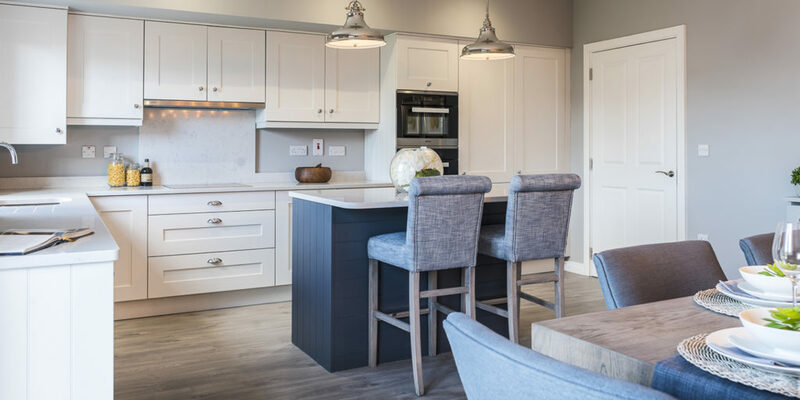 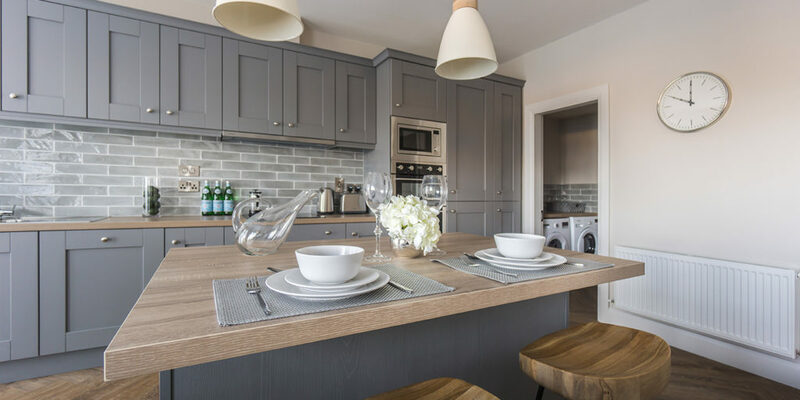 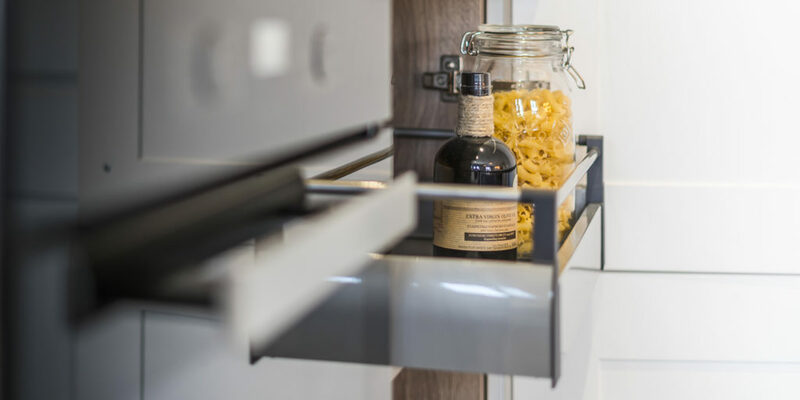 Extra high units, handmade canopy, bespoke made island, undermounted sink with choice of worktop, oak finished carcasses will encapsulate the essence of individuality. 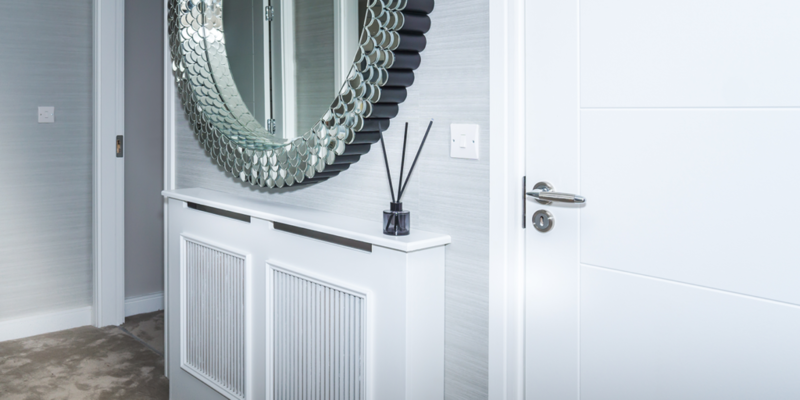 The distinct woodgrain visible through the painted layer adds a luxuriate quality to this Midhurst door. 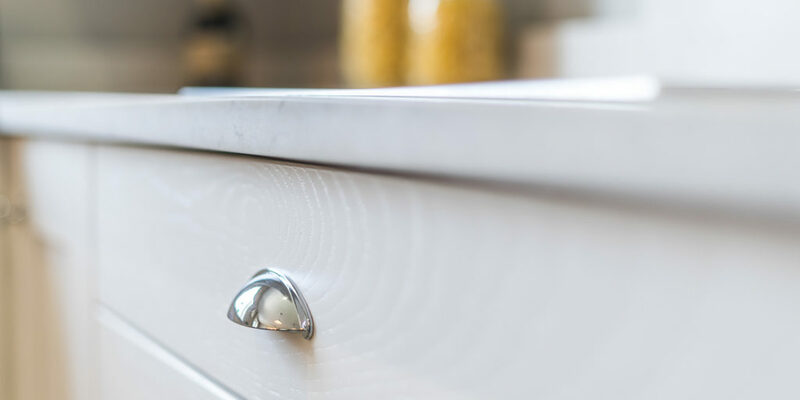 The simple detailing encapsulates a sleek modern style which has fast become a timeless classic. 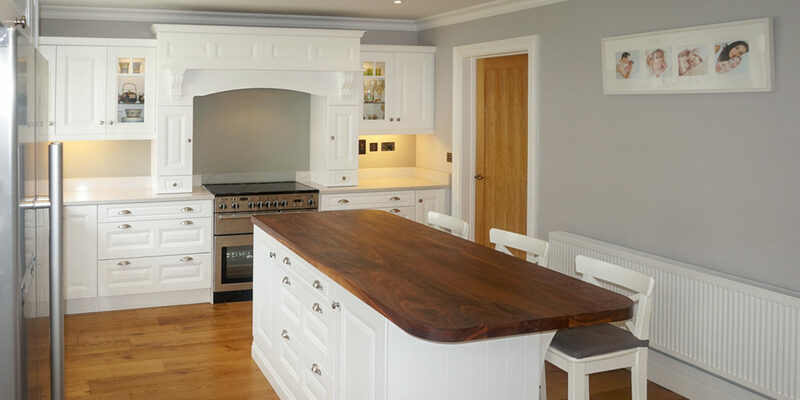 This stunning semi raised panel door in Dakar promises a worthy compromise between shaker and raised panel. 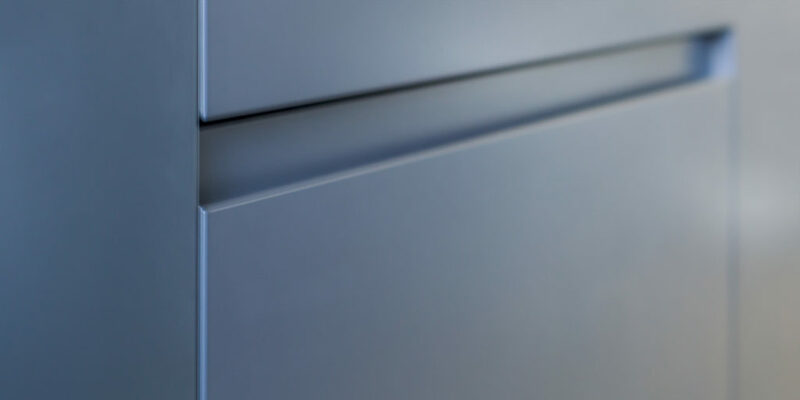 Adaptable and versatile, available in a wide range of colours this door promises an enticing number of options. 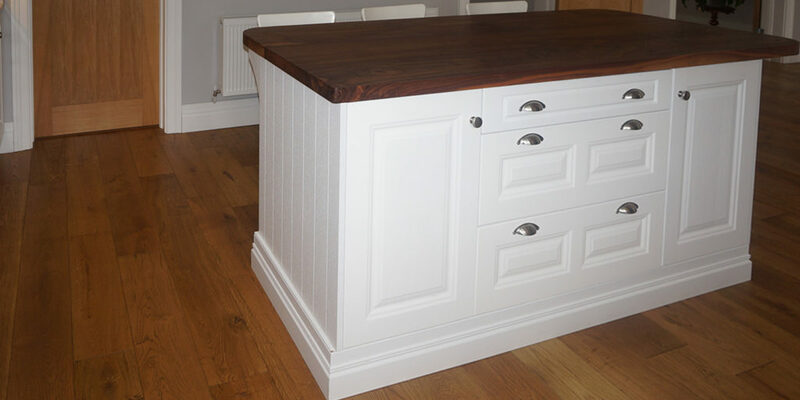 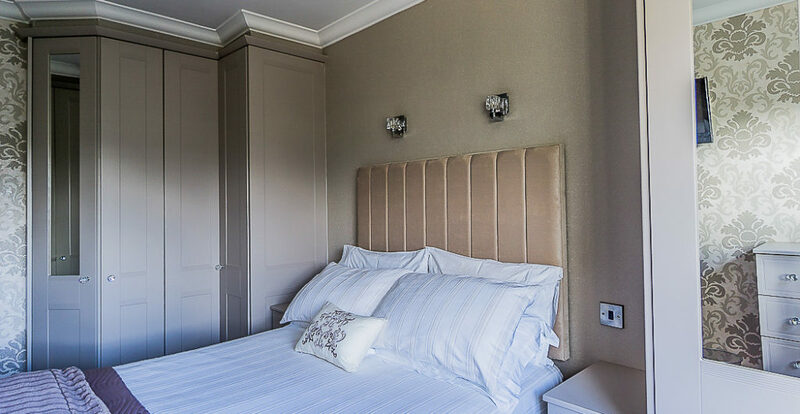 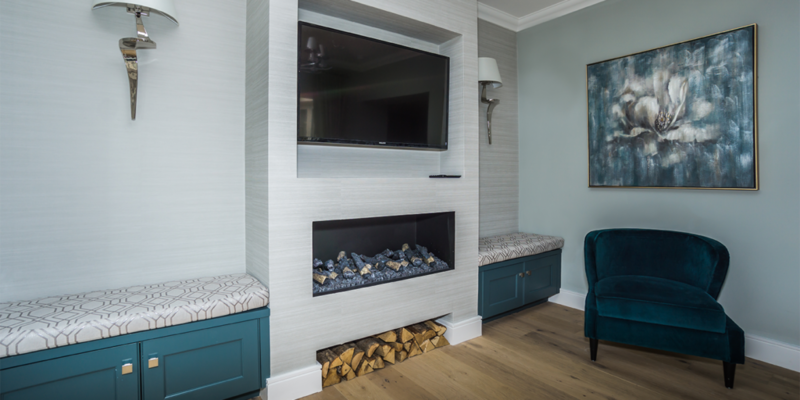 Stunning superior bespoke unit made featuring a solid woodgrain finish. 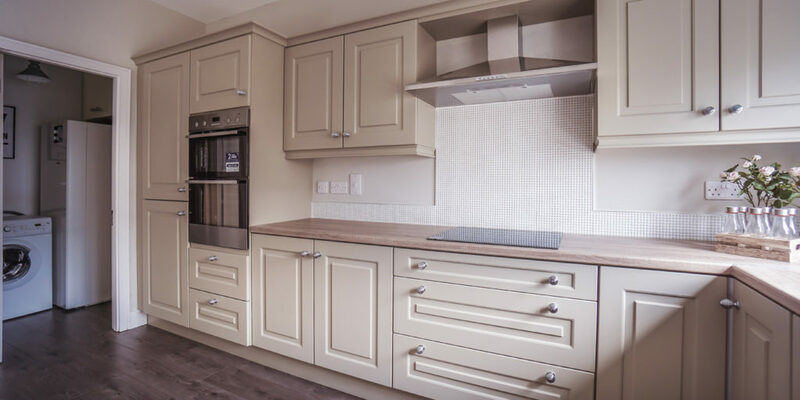 Let your imagination run wild knowing the stunning effect of this woodgrain in any choice of colour. 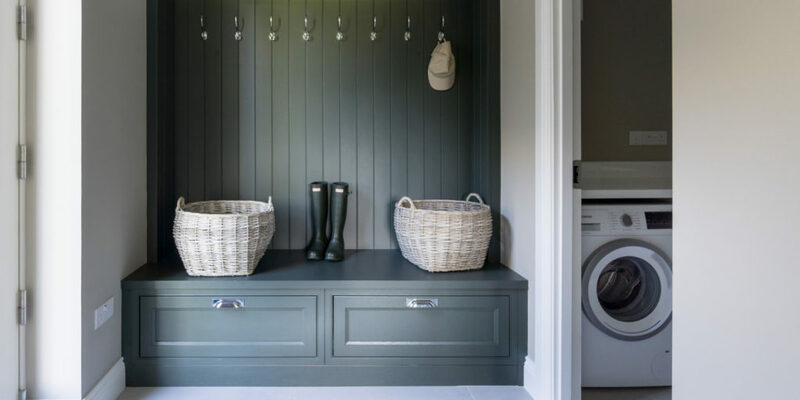 Turning a mudroom / bootroom / utility room into a quietly elaborate area with ample storage facilities. 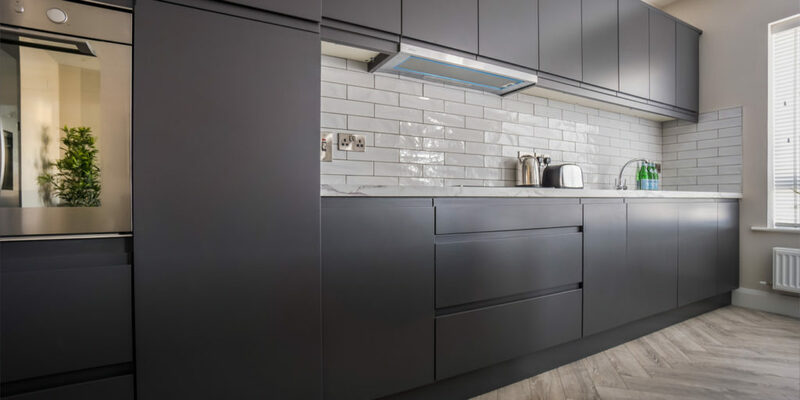 Our Horizon Range presents this stunning handleless matte door painted in graphite. 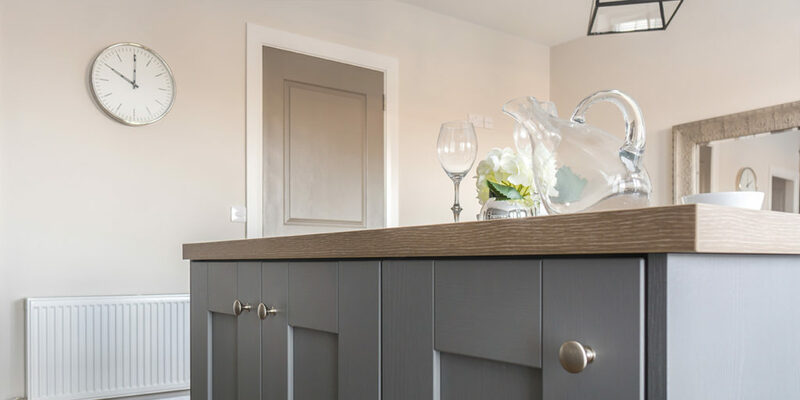 Creating a seamless, streamlined, sophisticated and cutting edge environment, this style of door completed in a superior matte finish lends itself to a progressive commanding appeal. 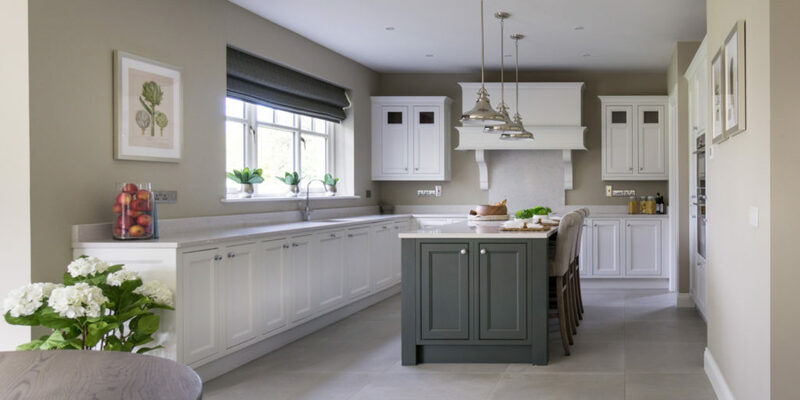 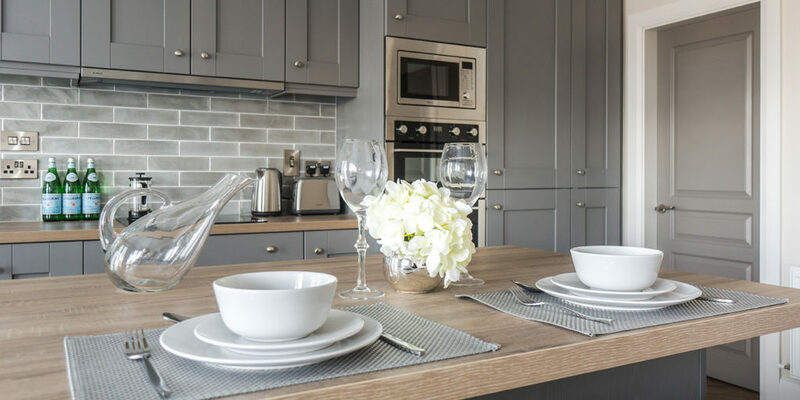 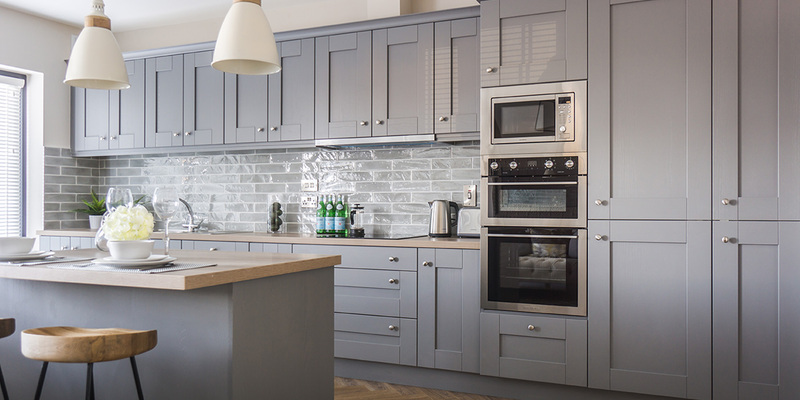 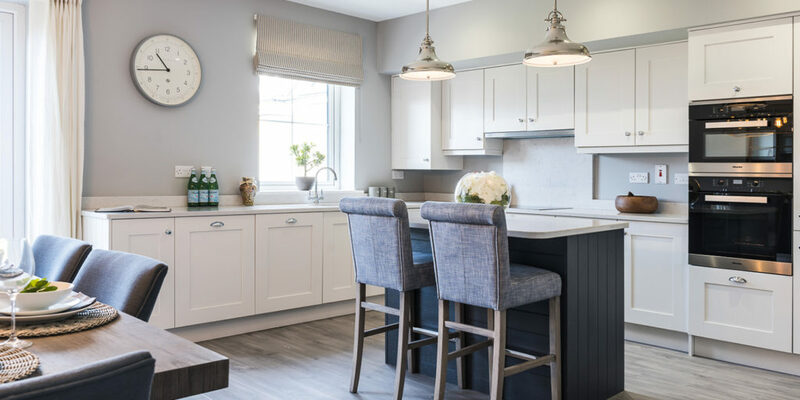 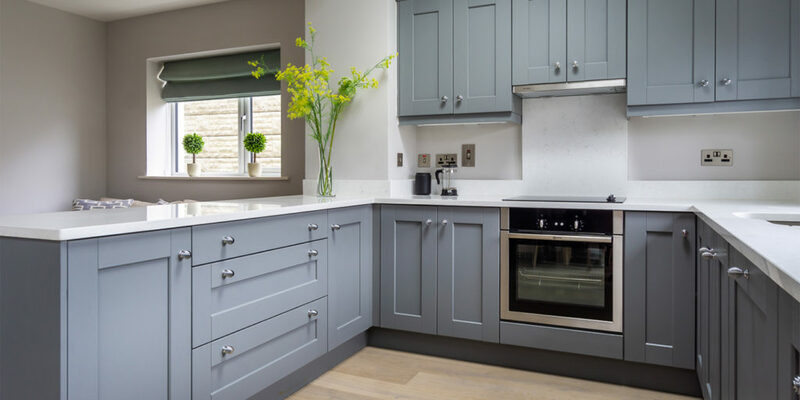 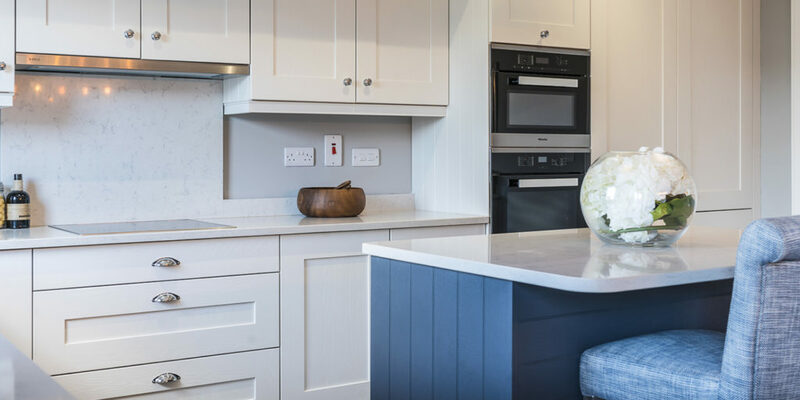 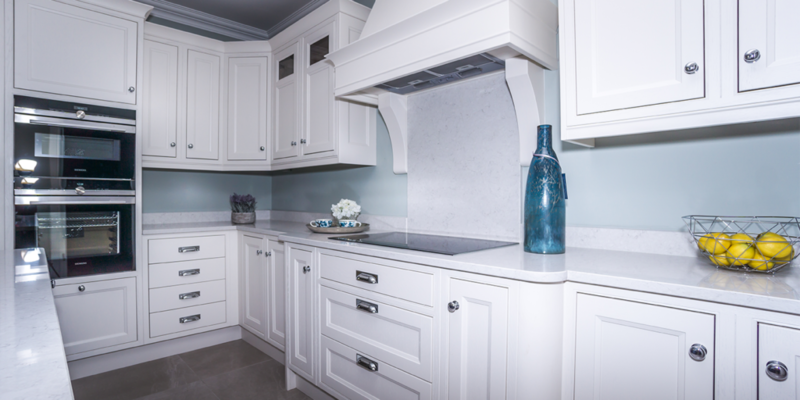 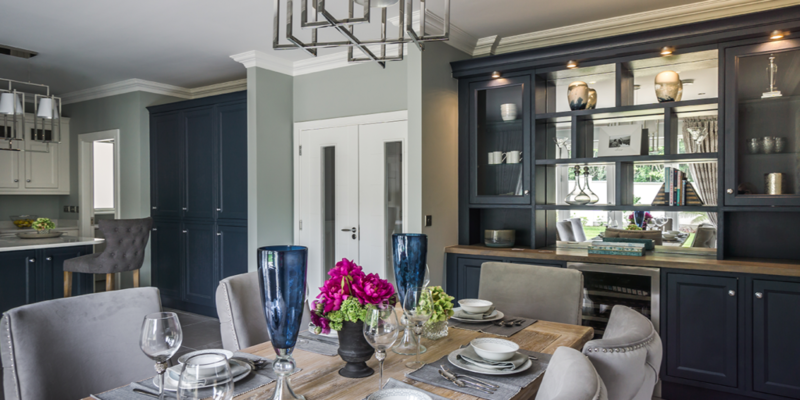 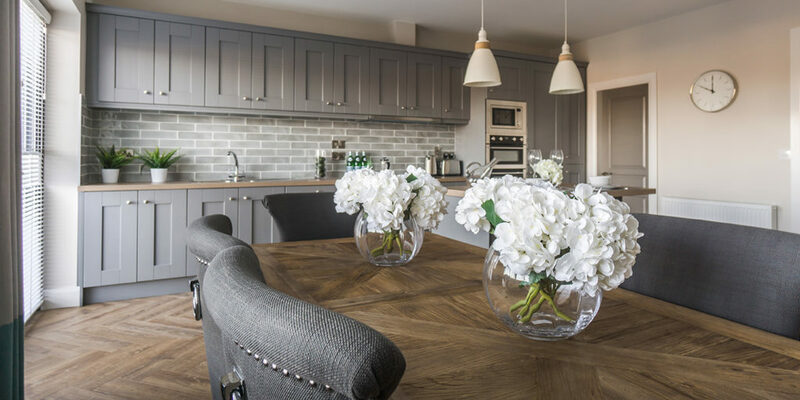 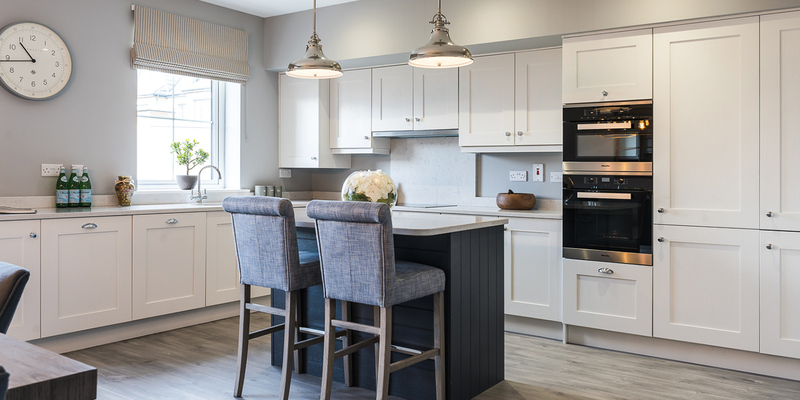 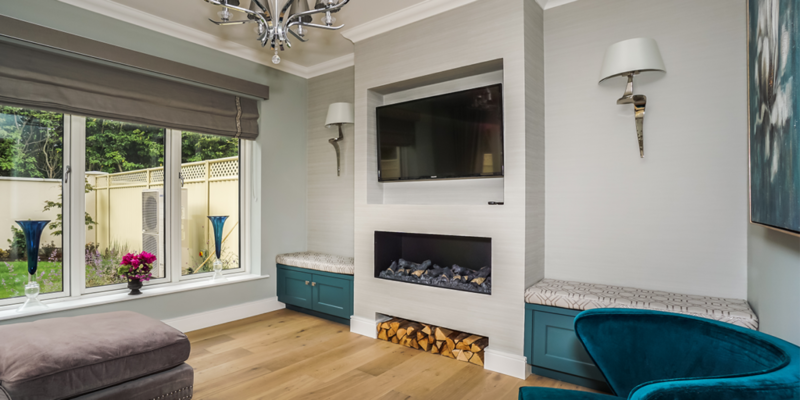 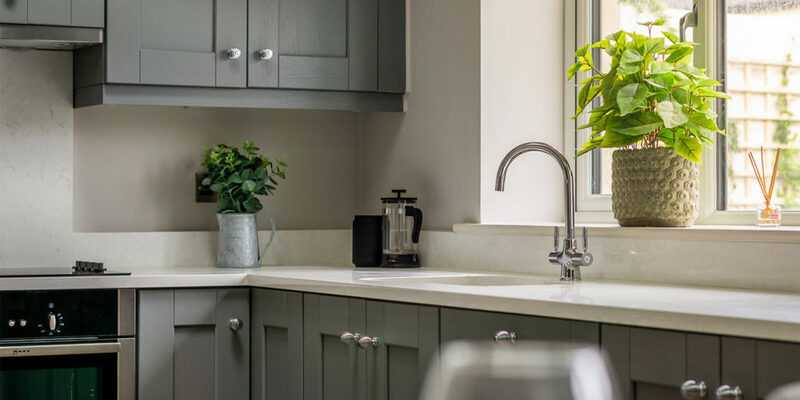 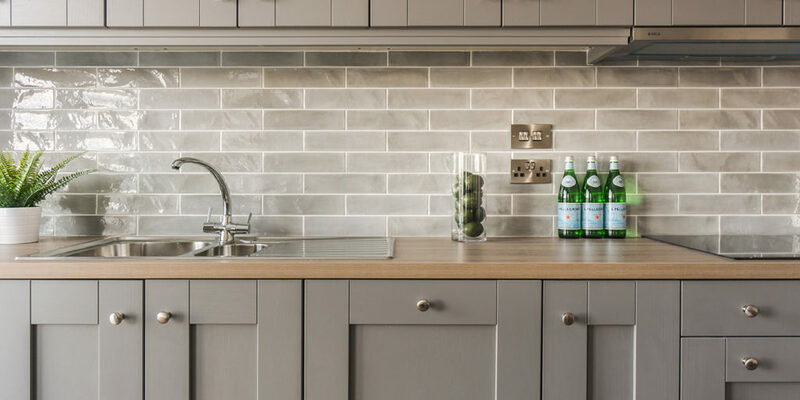 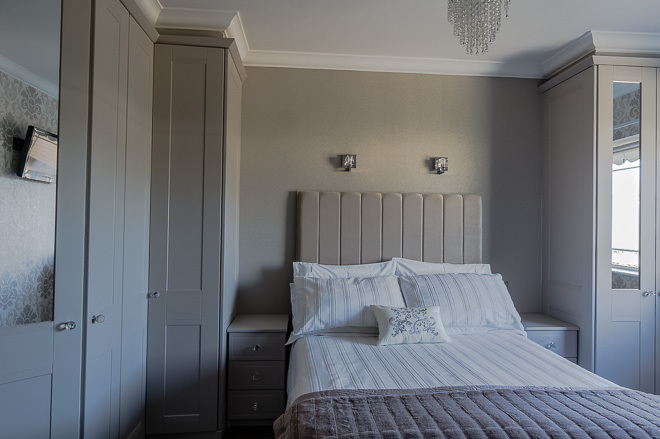 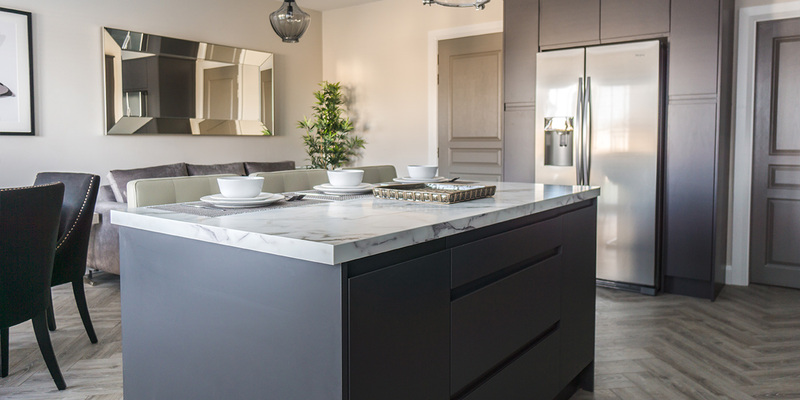 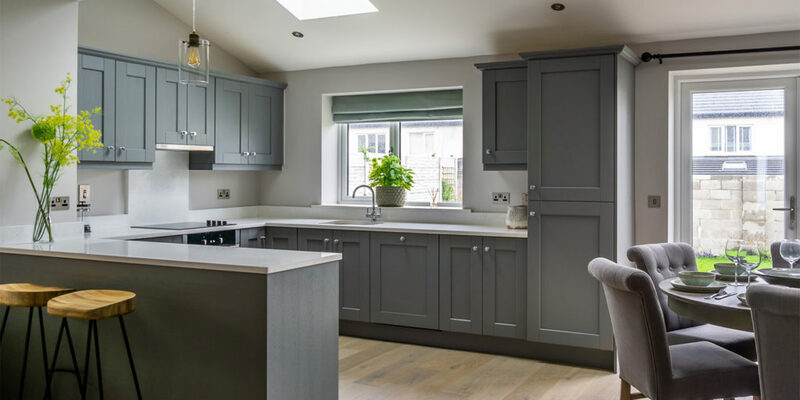 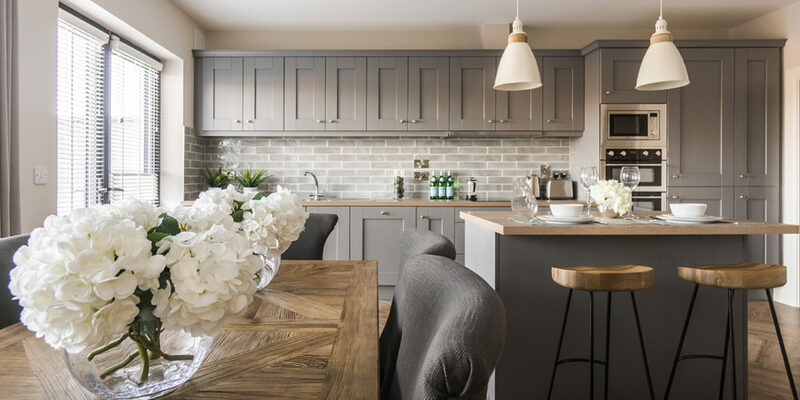 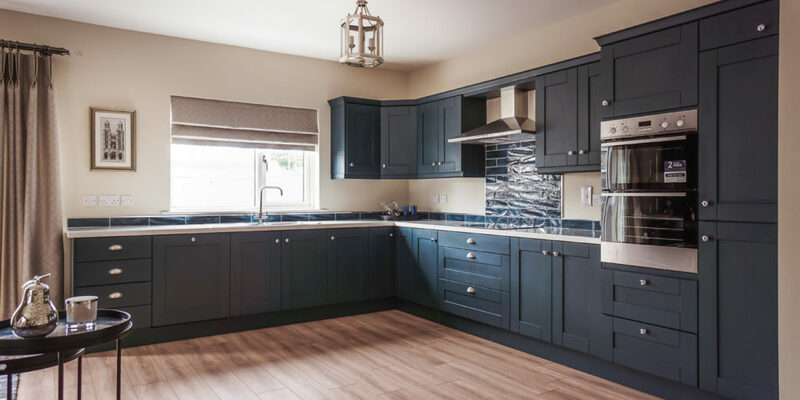 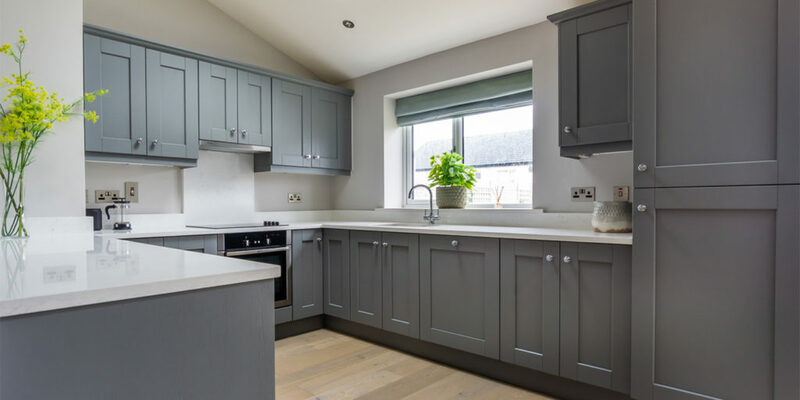 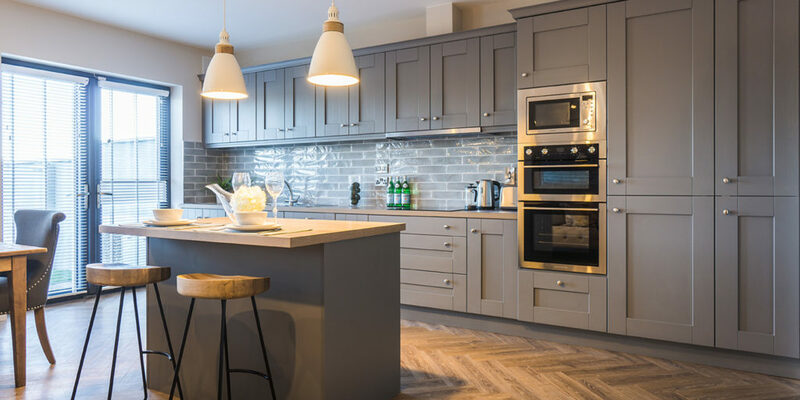 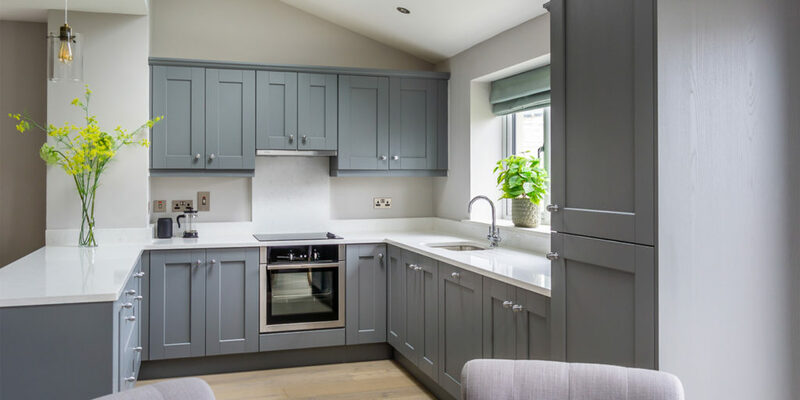 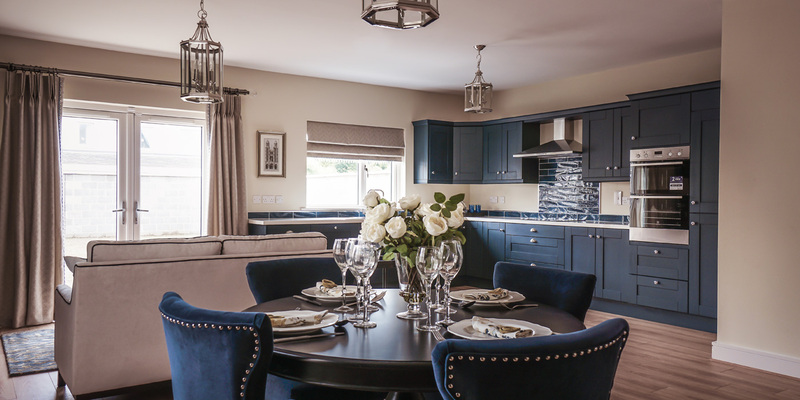 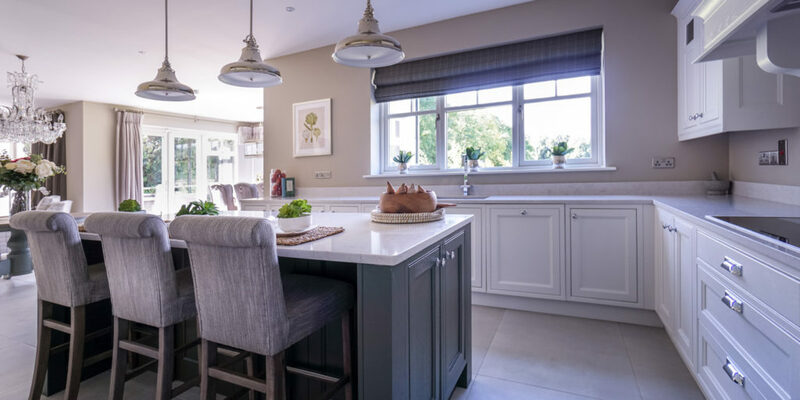 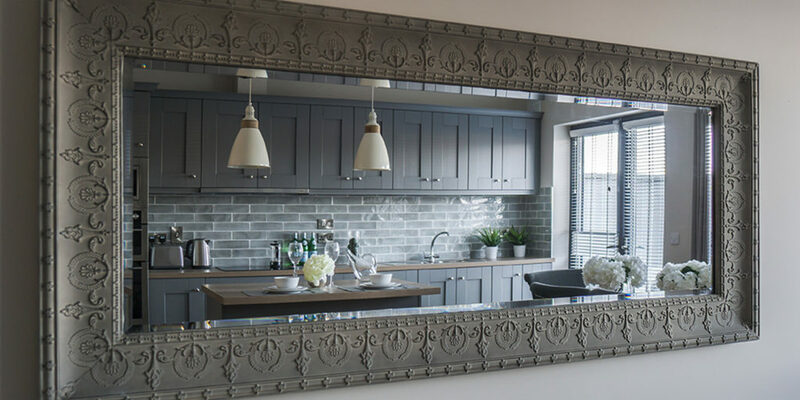 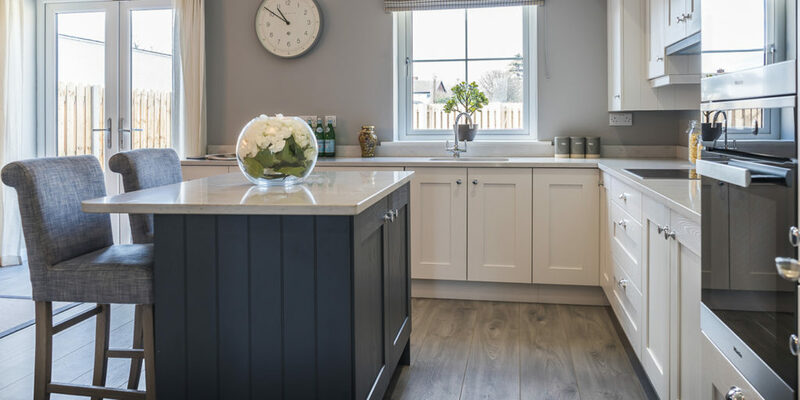 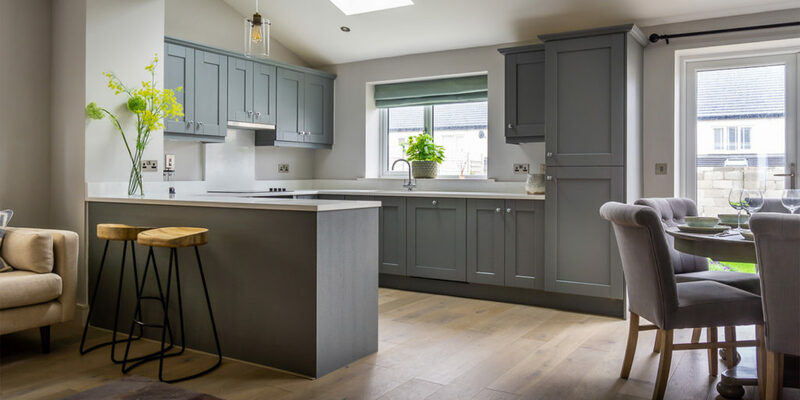 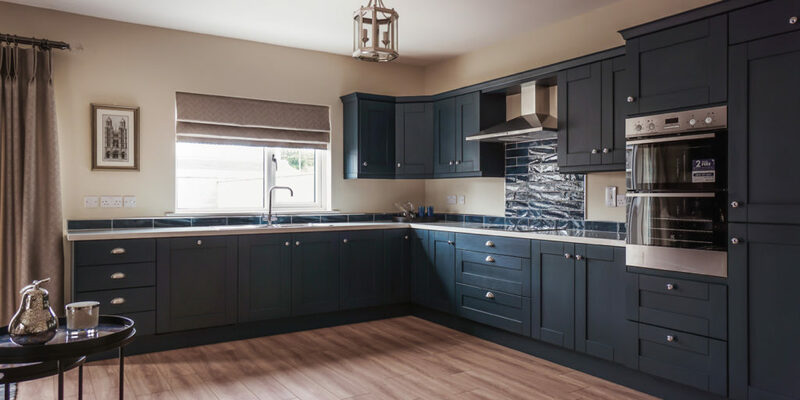 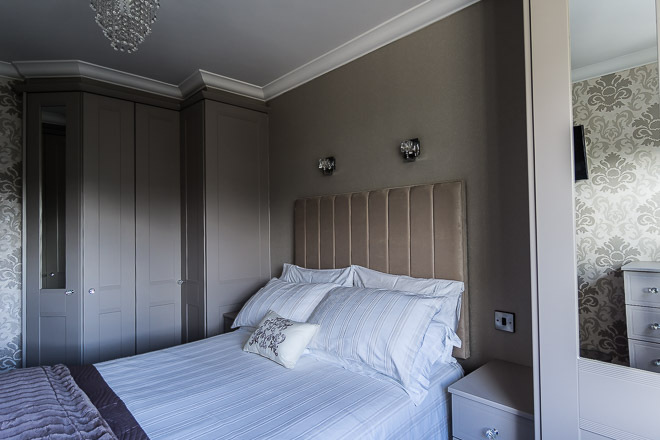 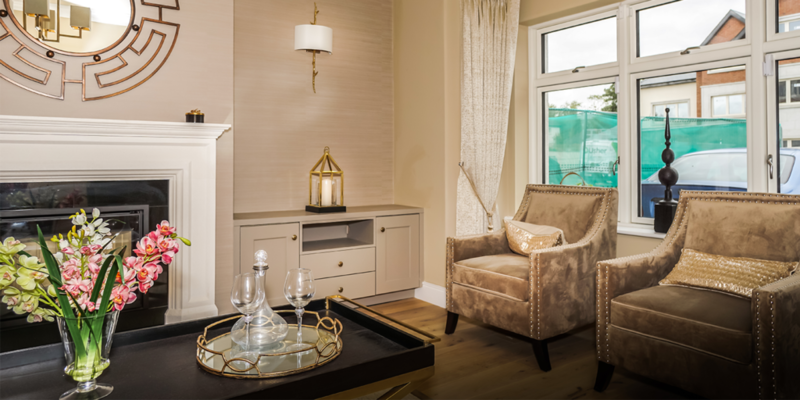 Delight in this stylish shaker ash completed in dusk grey. 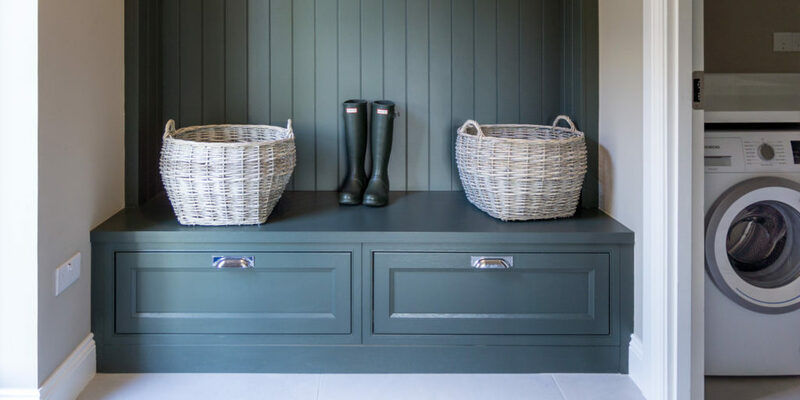 A worthy alternative to a solid collection. 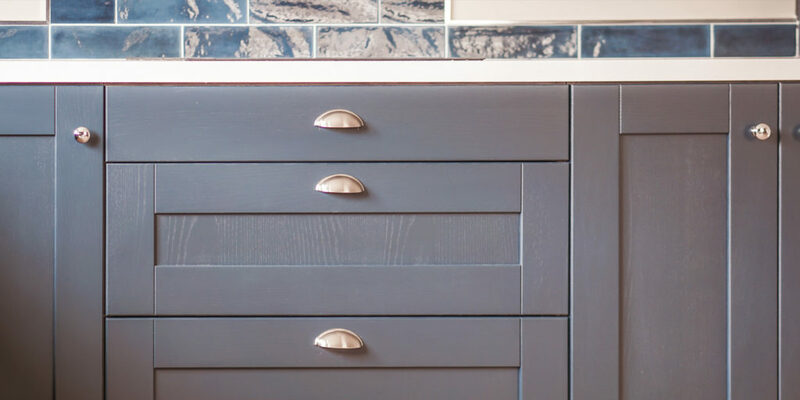 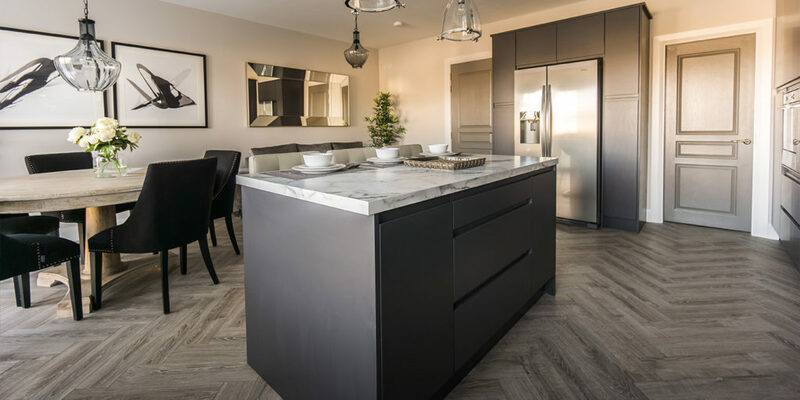 This beautiful woodgrain design finish provides a fresh textured elegance. 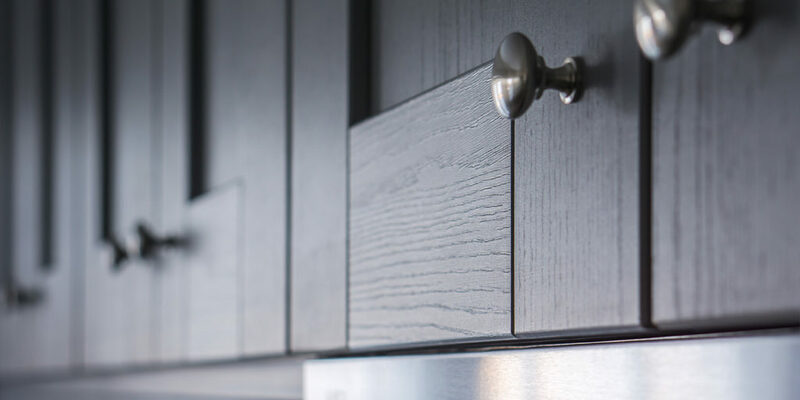 The Austin Collection presents our exquisite inframe solid woodgrain door. 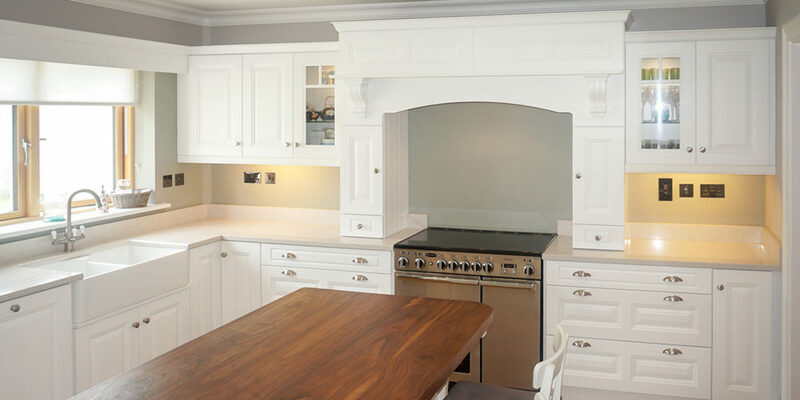 This door is exclusive to Gallagher Kitchens. 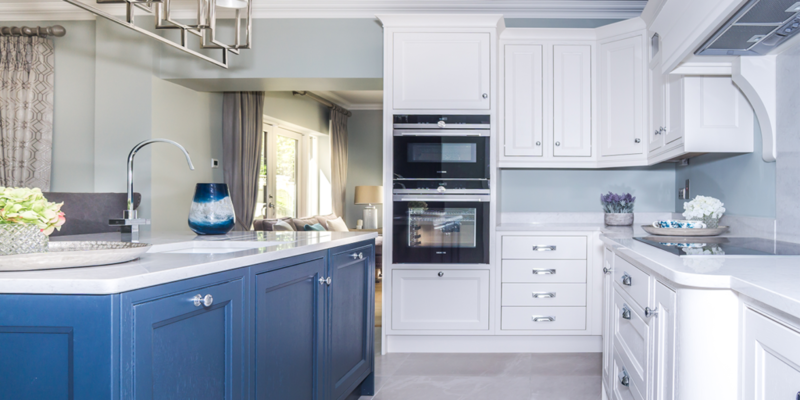 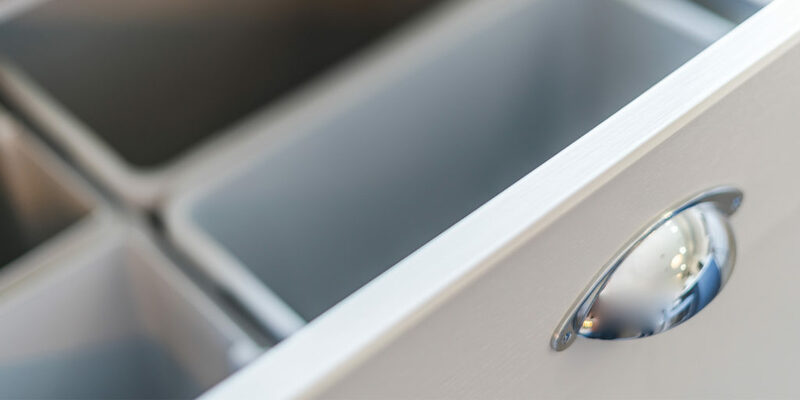 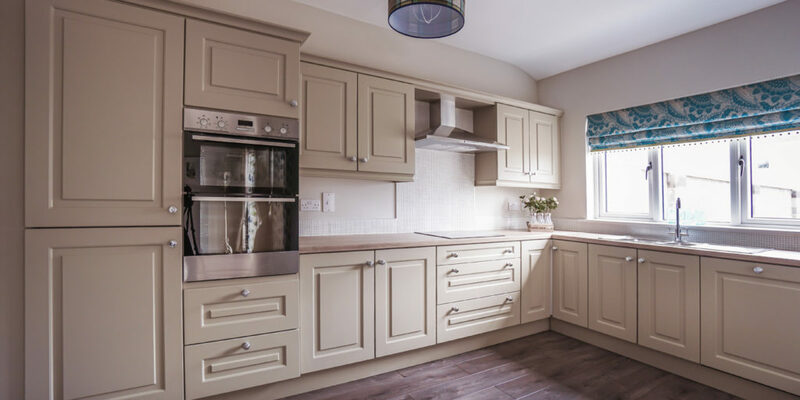 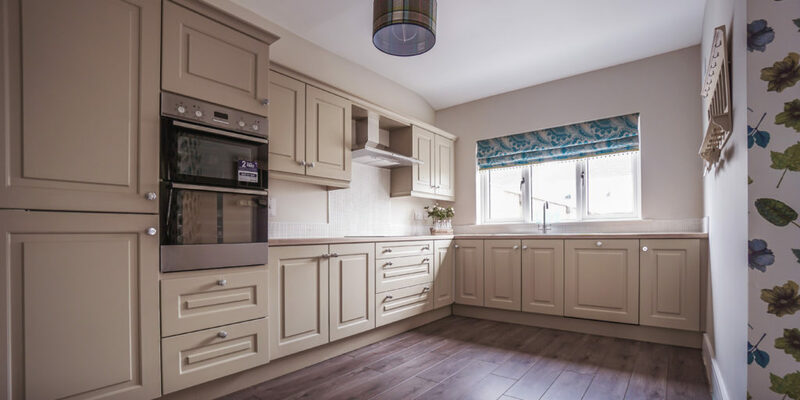 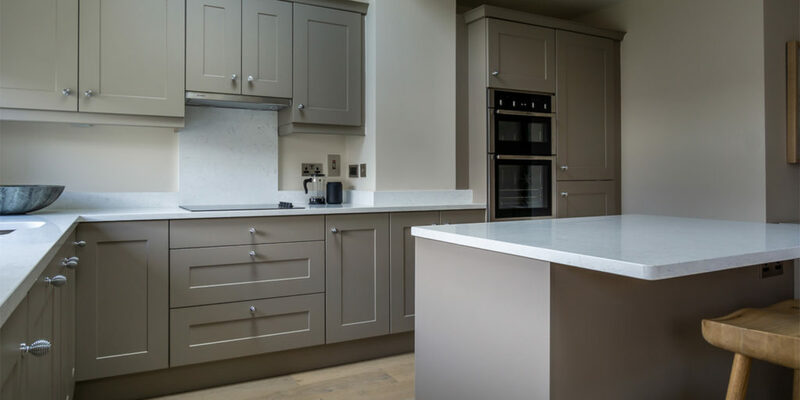 The choice of painted finish in various colour combinations allow for the creation of a unique kitchen. 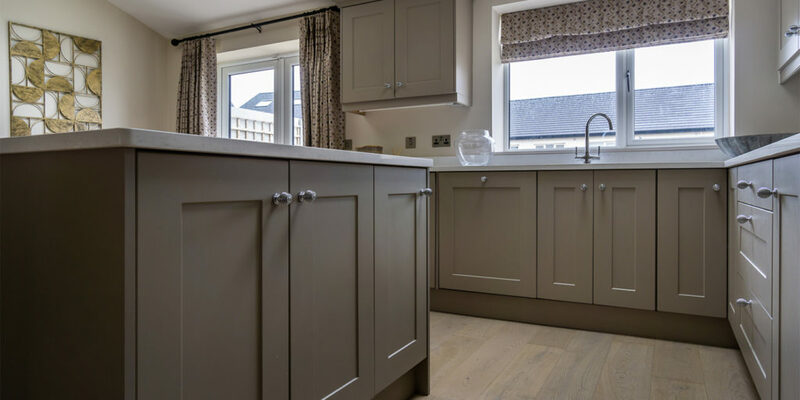 Extra high units, handmade canopy, bespoke made island, undermounted sink with choice of worktop, oak finished carcasses will encapsulate the essence of individuality. 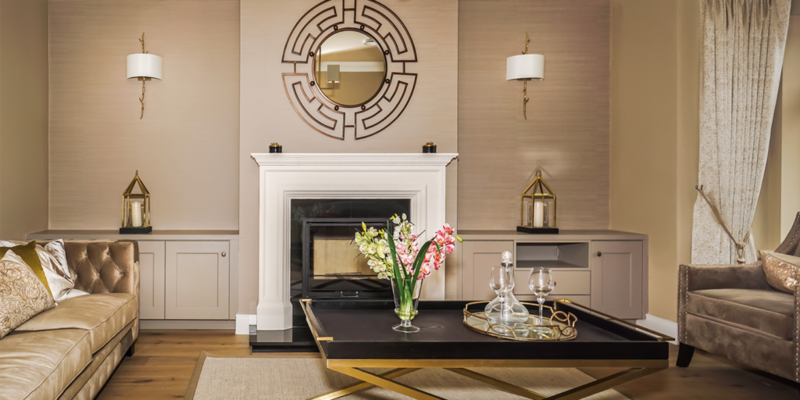 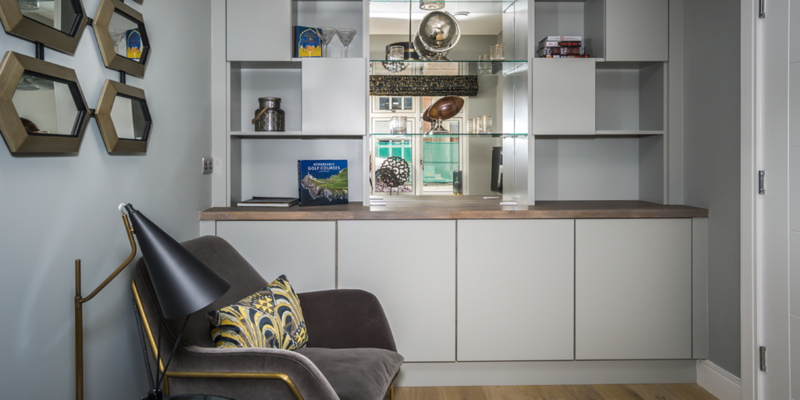 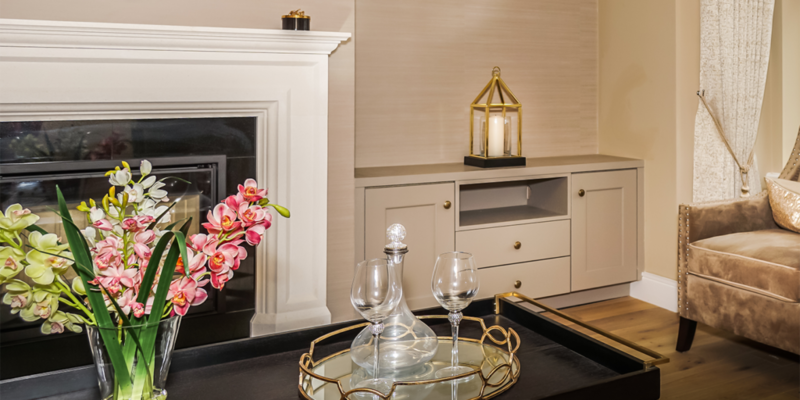 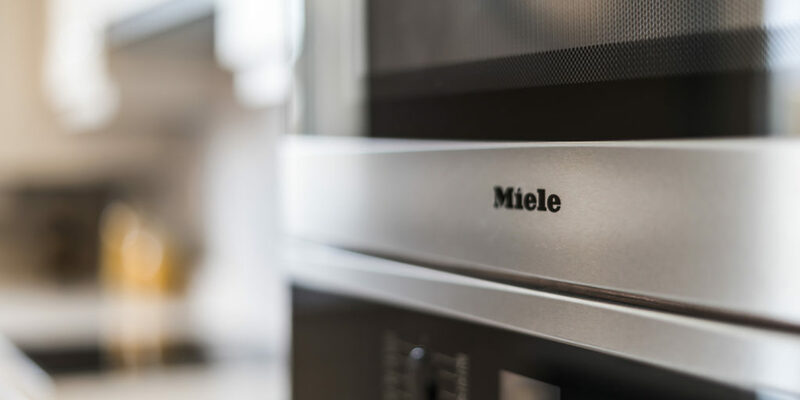 Set your sights high with a bespoke made Gallagher Wall Unit. 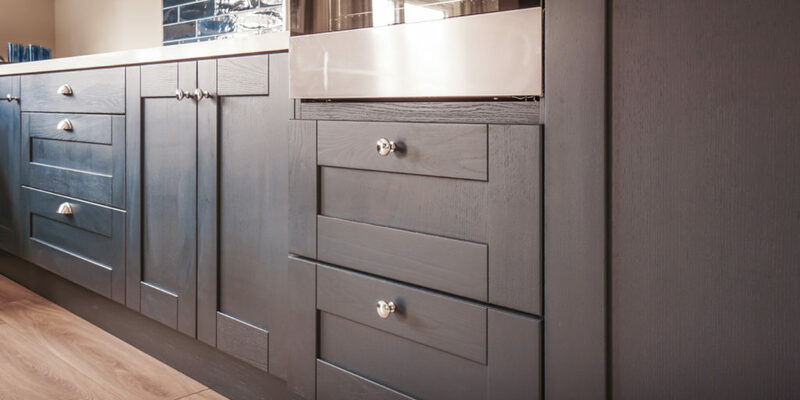 Varied choice of wood finish, colour pallet and design options will create a personal masterpiece. 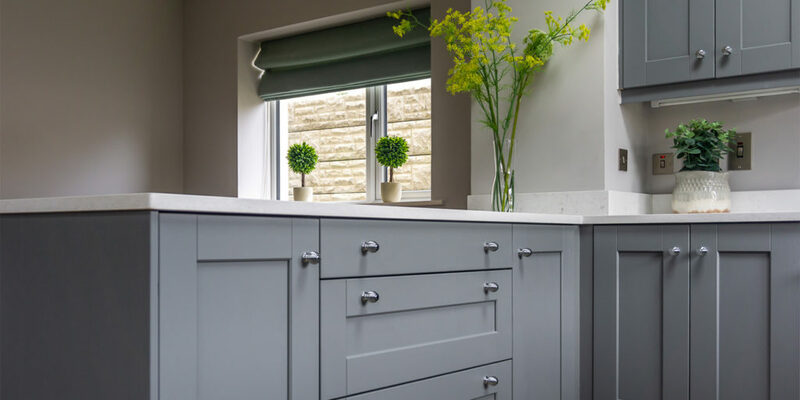 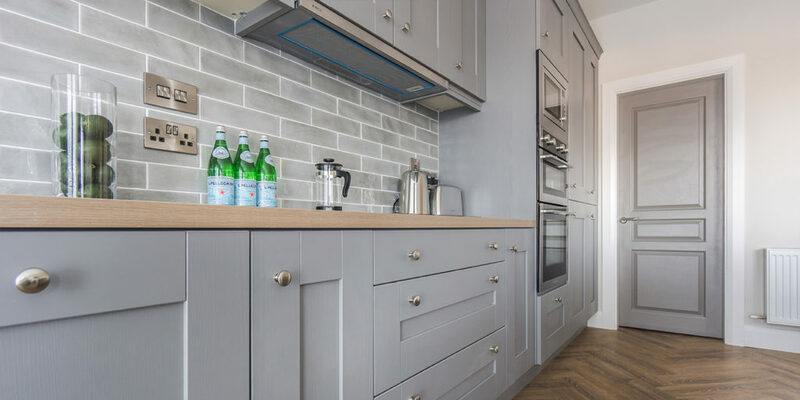 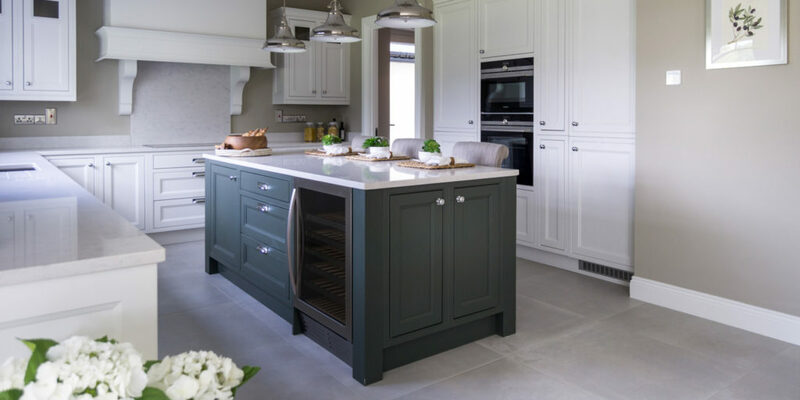 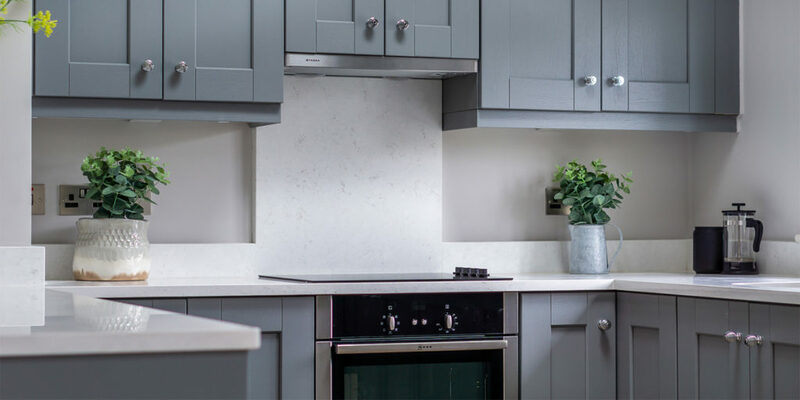 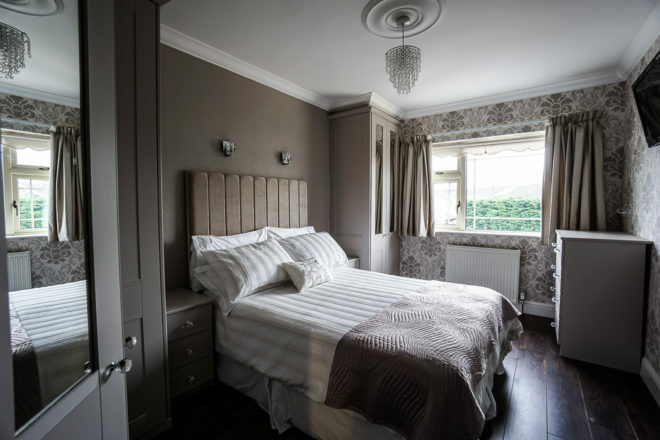 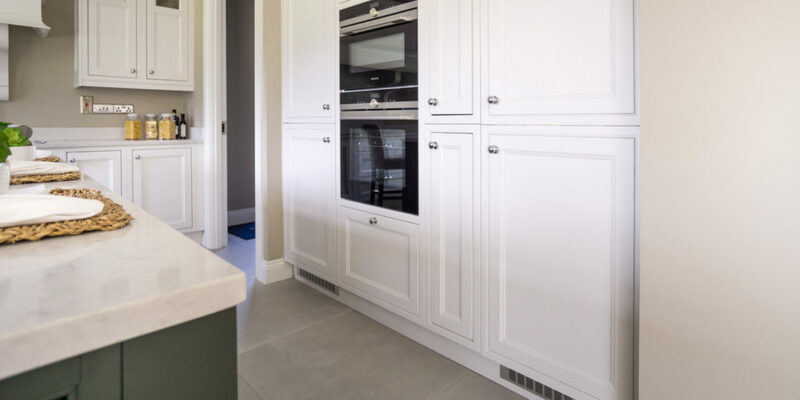 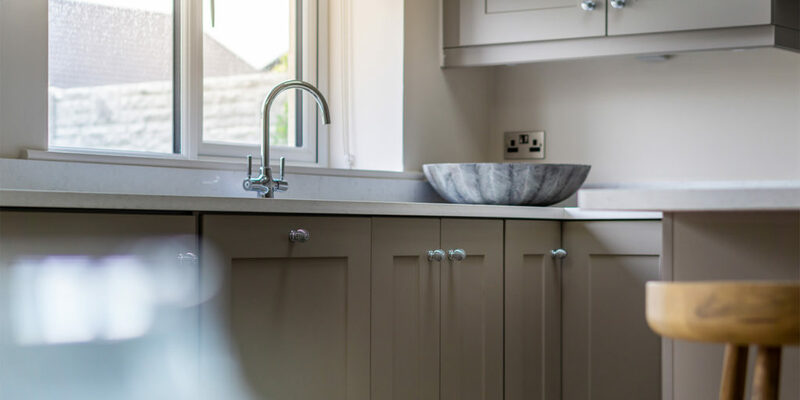 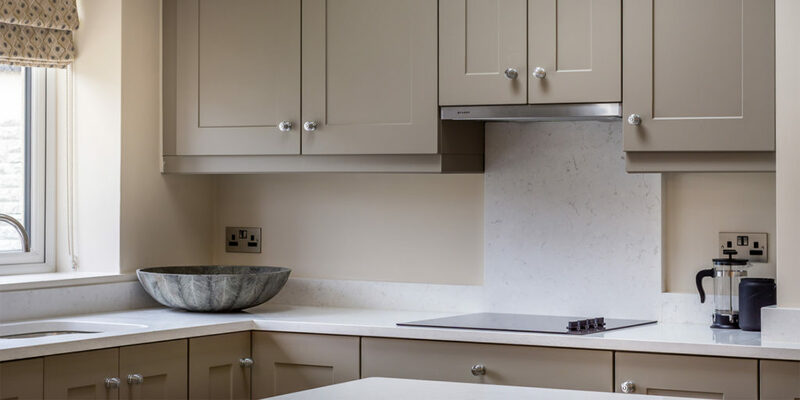 Be assured of quality and durability with Shaker Matt in Dusk Grey, available in a choice of colours. 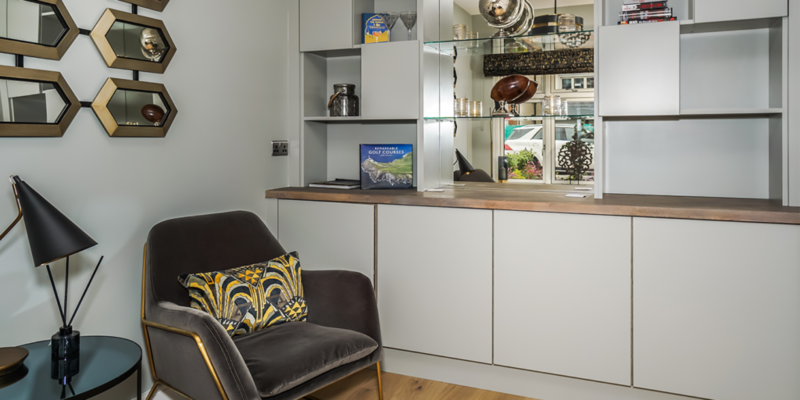 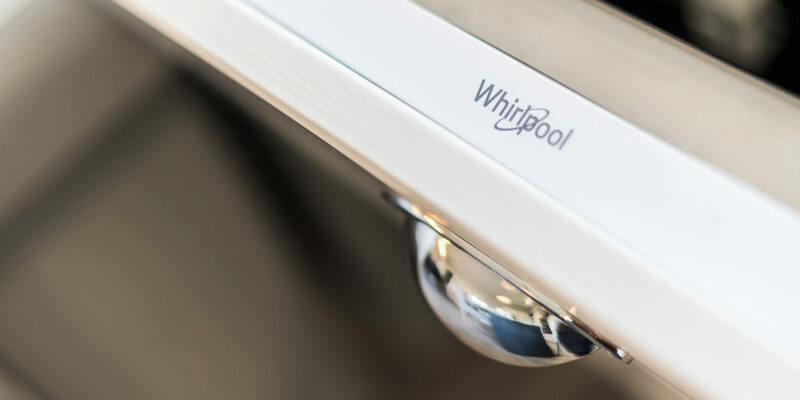 Affording a worthy alternative to the solid range, this woodgrain design finish provides ideal contemporary style living. 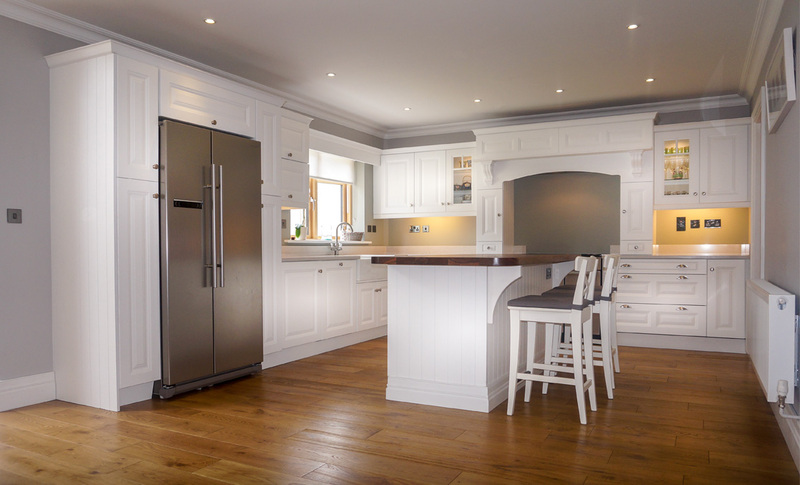 Stunning solid woodgrain finish in a choice of colours combines pure luxury with contemporary style living. 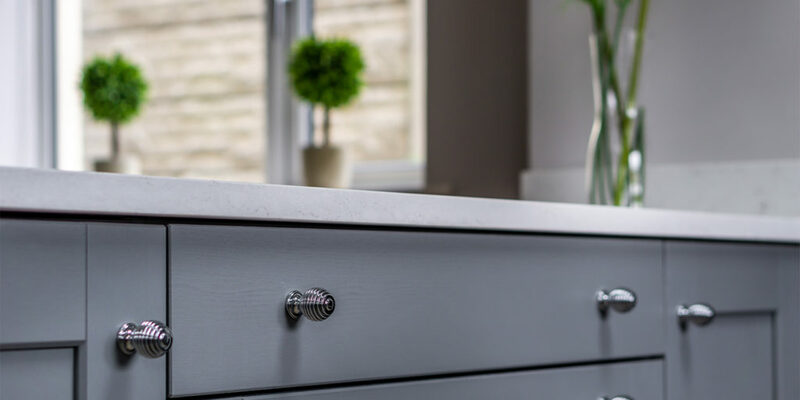 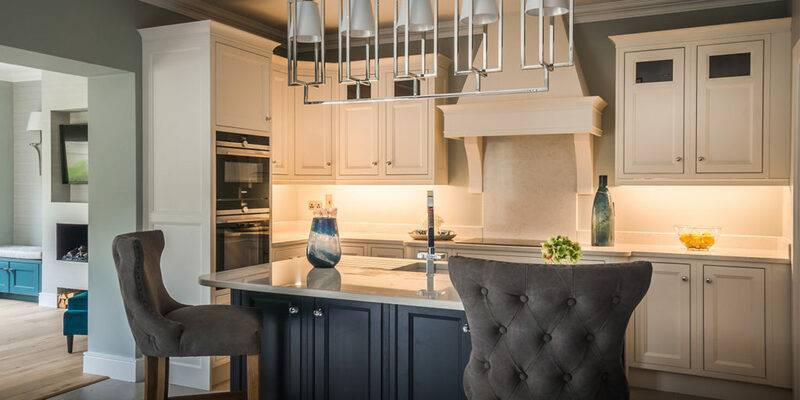 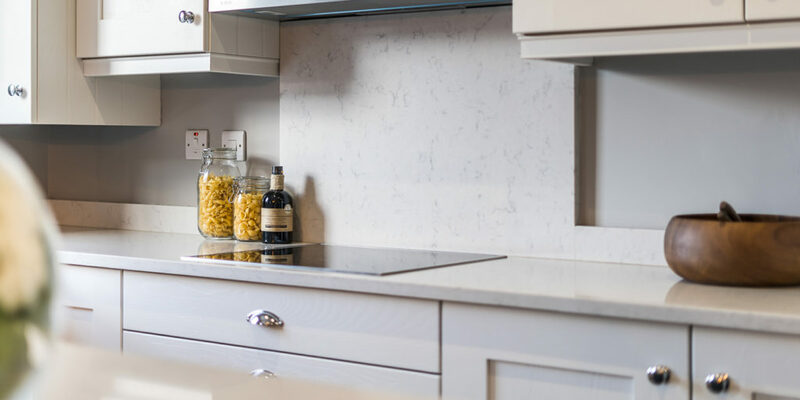 With the addition of oak carcass and quartz work surface a timeless, luxurious creation is crafted.